Our YouTube plugin for WordPress is compatible with all built-in Wordpress editors including the Gutenberg editor. For each kind of embedding you want to do, whether a YouTube video, gallery, or livestream, the plugin provides each editor with an easy to use wizard. See below for directions for each type of editor interface. Click on the (+) sign for the block editor list. 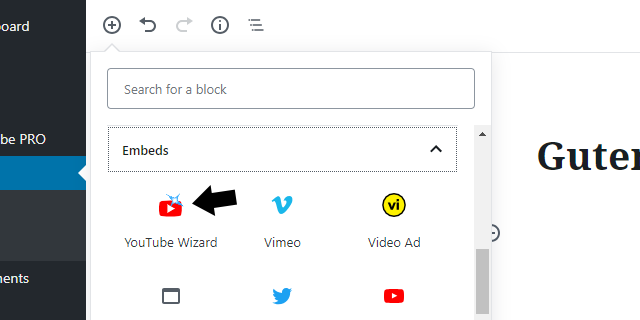 The YouTube Wizard block is located under the "Embeds" category (make sure you choose "YouTube Wizard" not "YouTube"). Then your page will show a placeholder where you can launch the wizard. In the wizard, you'll have several options for different types of embeds. Each embed code will have an "Insert Into Editor" button that you can click to directly embed the desired video link to your post without having to copy and paste. You'll also be able to preview and interact with your embed without having to view the page on the front end. Are you using Gutenberg but not quite ready to start using all the blocks? Well, you can still access our wizard if you wish to continue using Gutenberg's Classic block. 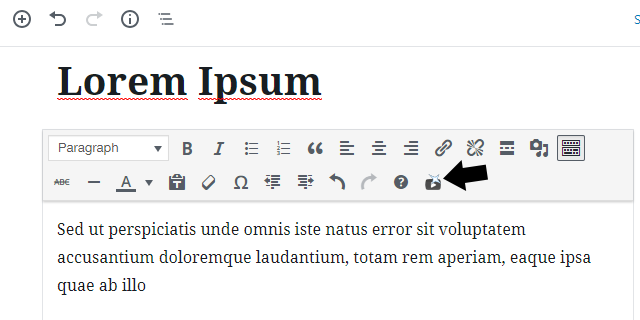 The Classic block brings back the former editor you used before WordPress, and so we've added a button to it you can use to launch the wizard (see example on the right). Simply click the wizard button to start the wizard. There, you'll have several options for different types of embeds. Each embed code will have an "Insert Into Editor" button that you can click to directly embed the desired video link to your post without having to copy and paste. Simply click the YouTube wizard button found above your post editor to start the wizard (see image to the right to locate this button). There, you'll have several options for different types of embeds. Each embed code will have an "Insert Into Editor" button that you can click to directly embed the desired video link to your post without having to copy and paste. 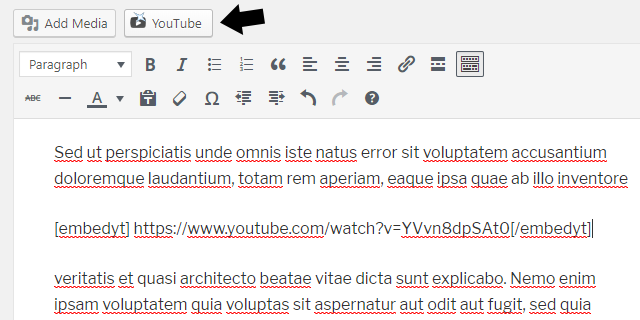 To insert a video in a widget area, use the Text widget that comes with WordPress. 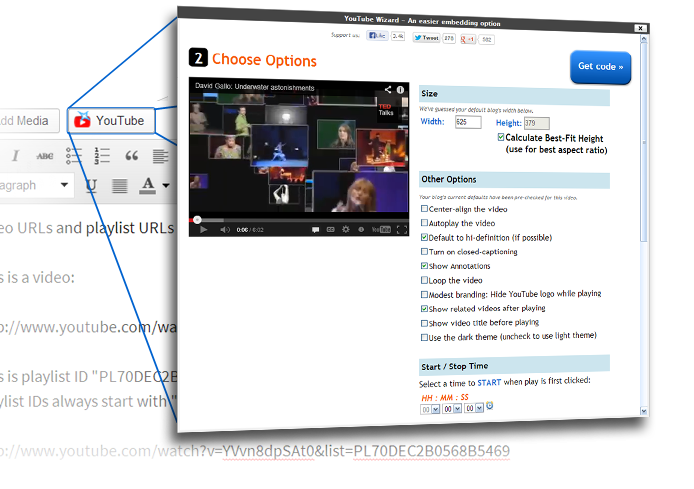 Simply click the YouTube wizard button found above the widget textbox to start the wizard (see image to the right to locate this button). There, you'll have several options for different types of embeds. Each embed code will have an "Insert Into Editor" button that you can click to directly embed the desired video link to your post without having to copy and paste. Even more options are available to PRO users, no matter which editor you choose! Simply click the "Customize" button in the wizard to further personalize each of your embeds without having to manually add special codes yourself. The customize button will allow you to easily override most of the above default options for that embed.